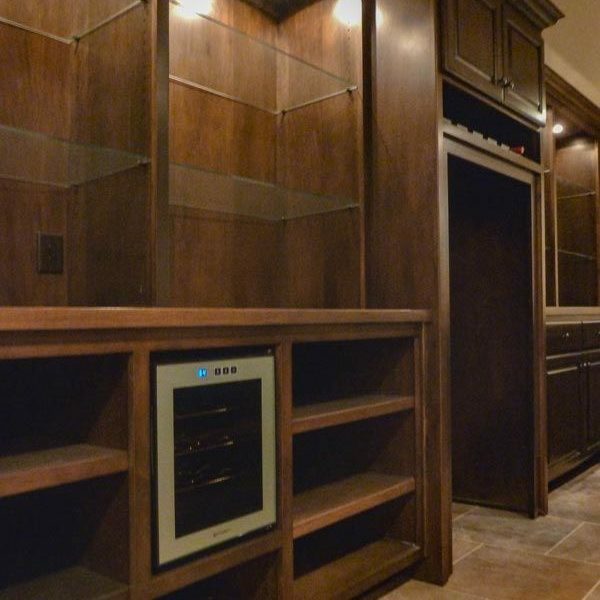 With all the ideas and options for interior styles and designs of a home our main goal is to bring it together so it becomes a reflection of “you” while meeting the needs your lifestyle. 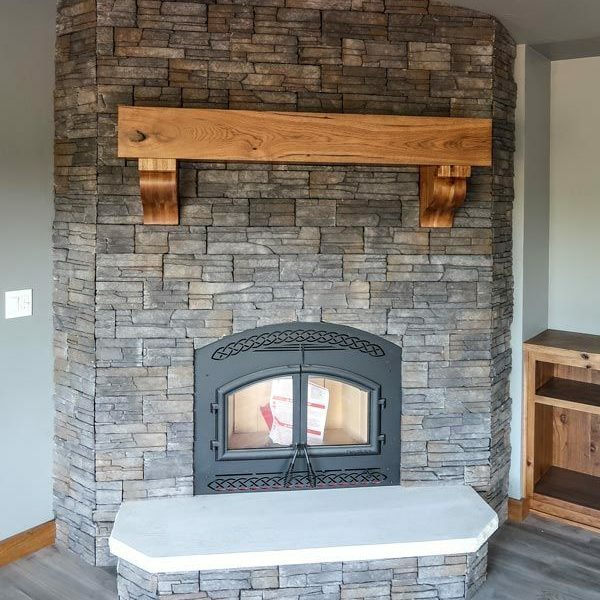 J&J Builders of Northeast Wisconsin can help you take your dream home and make it a reality by starting with truly understanding what your vision is. 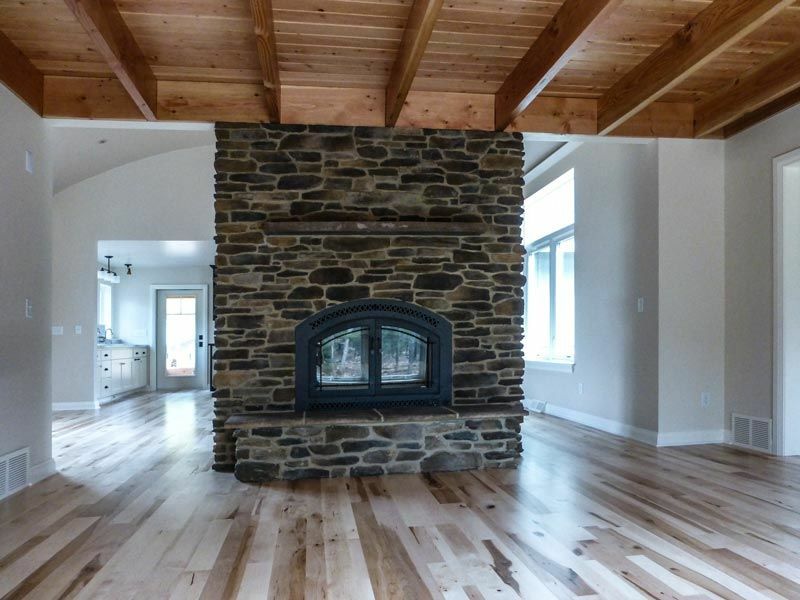 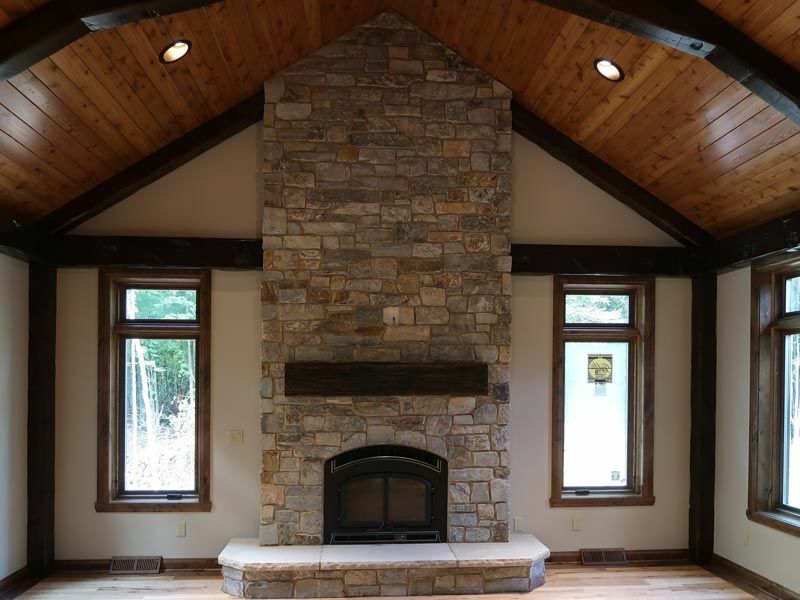 We’ve worked with many different interior design concepts that include reclaimed wood, barn doors, stone or brick fireplaces, custom stairways, and of course our specialty… custom cabinetry. 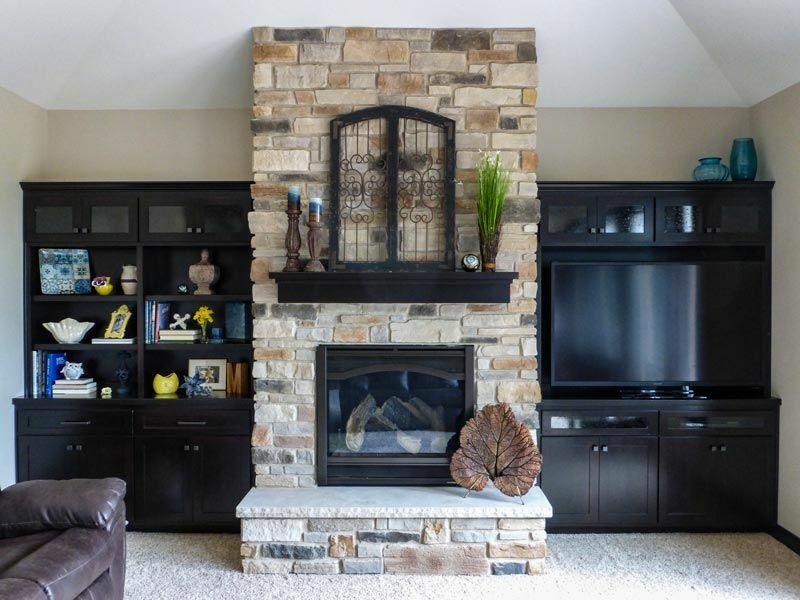 Not only can a fireplace warm your home and create a cozy atmosphere, it’s design can be a gorgeous focal point for any room. 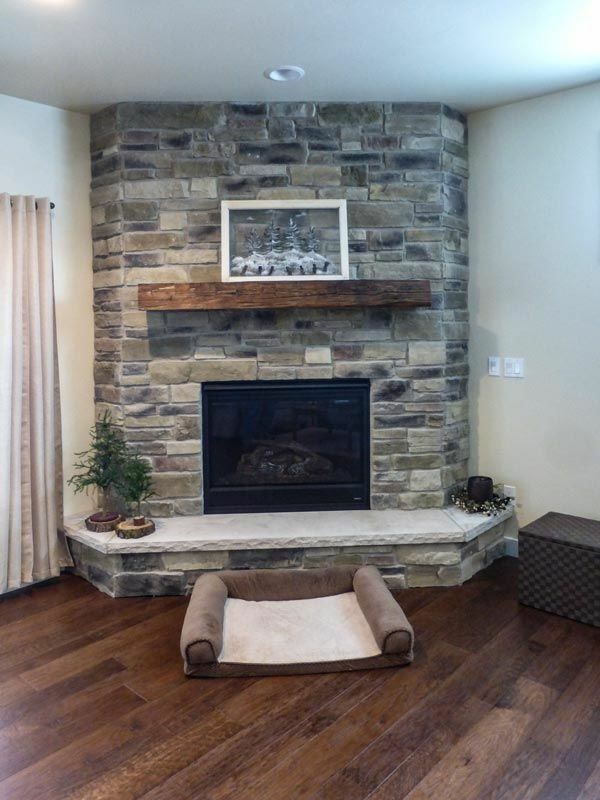 From brick to stone, or maybe a unique wood mantel, let us help you create a statement piece that will compliment your home for many years to come. 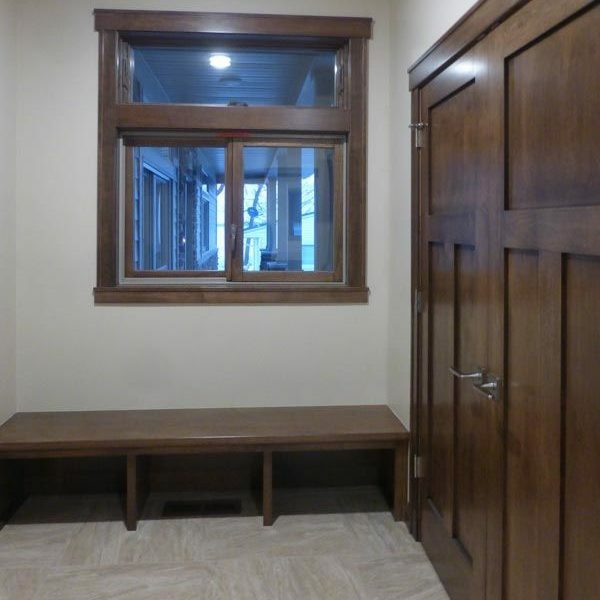 The moment family or friends walk into your home, you want them to feel welcome. 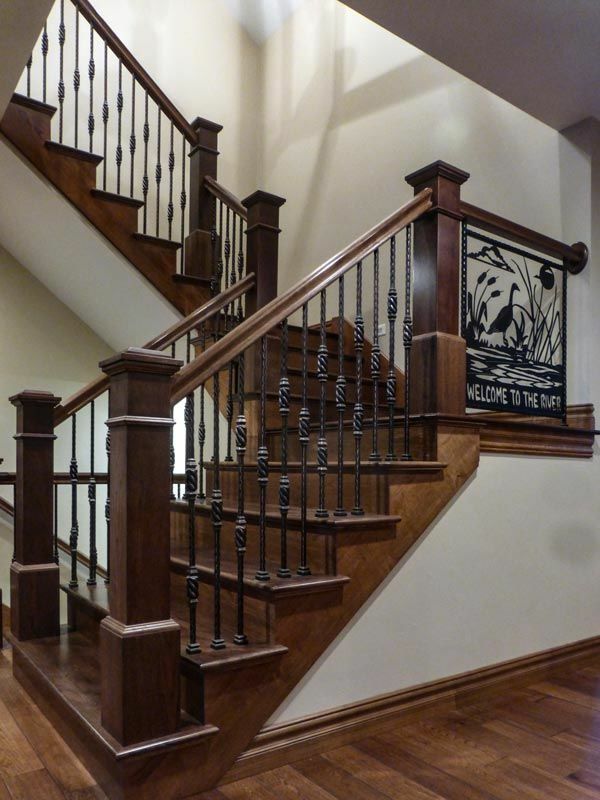 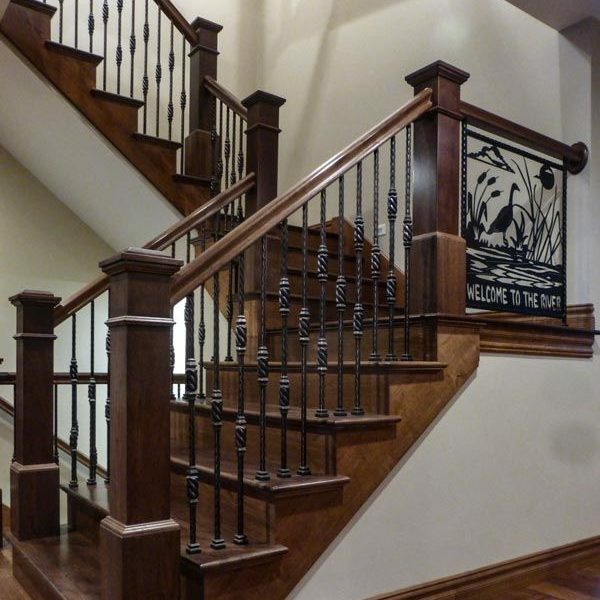 This starts with a well designed foyer or entry area. 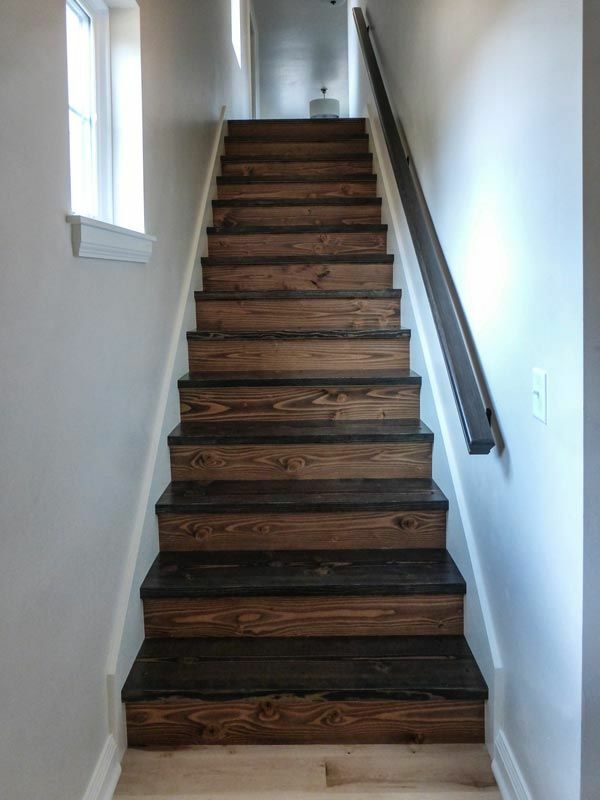 The first step into your home will always make an impression. 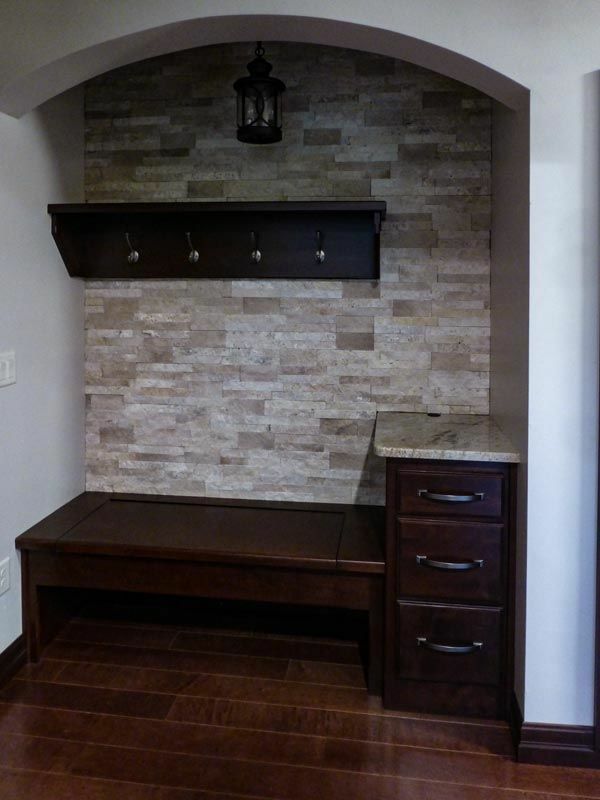 Whether the space is “cozy” or “wide open” we can help you provide a welcome feeling while keeping things organized and the space functional. 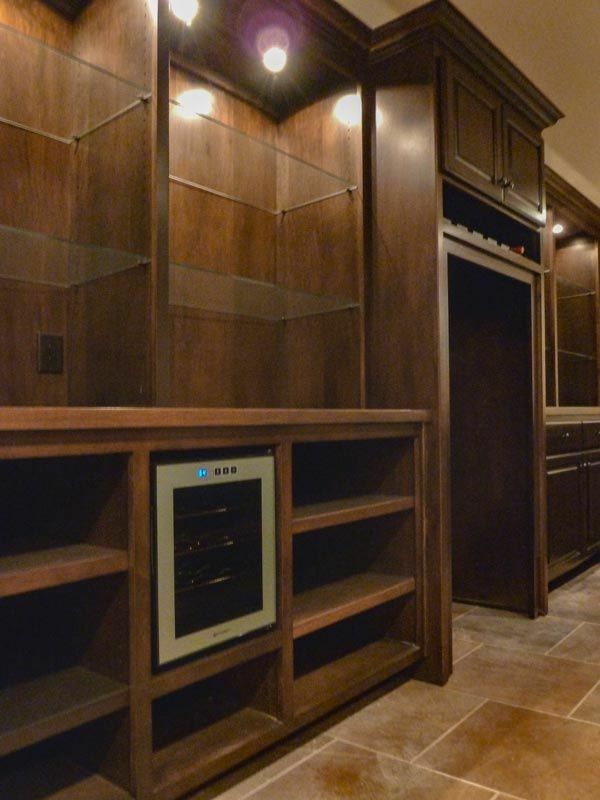 Why go out when you could be at home in your new custom bar? 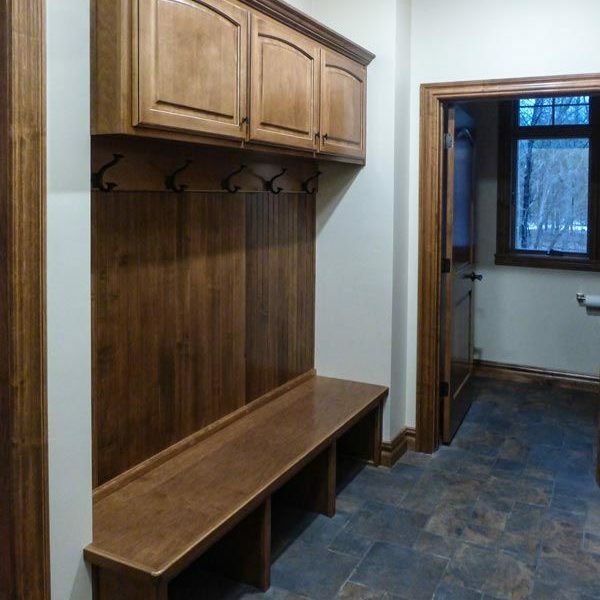 This could be a place where you, your family, and friends want to gather. 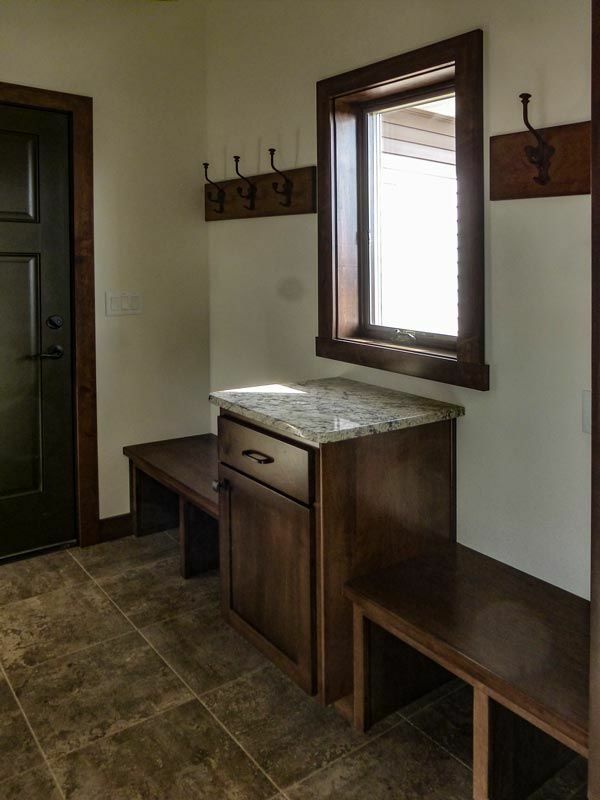 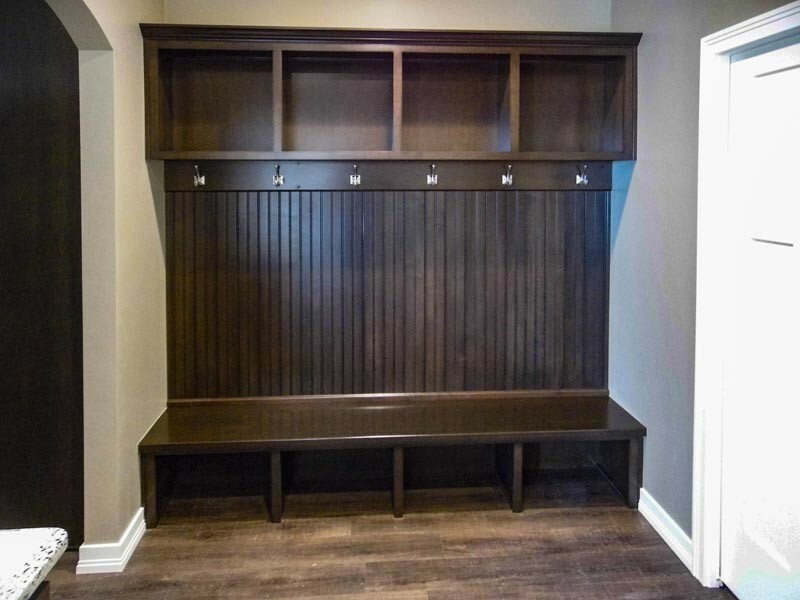 Our beautiful custom cabinetry and home interior designs aren’t just limited to bathrooms and kitchens. 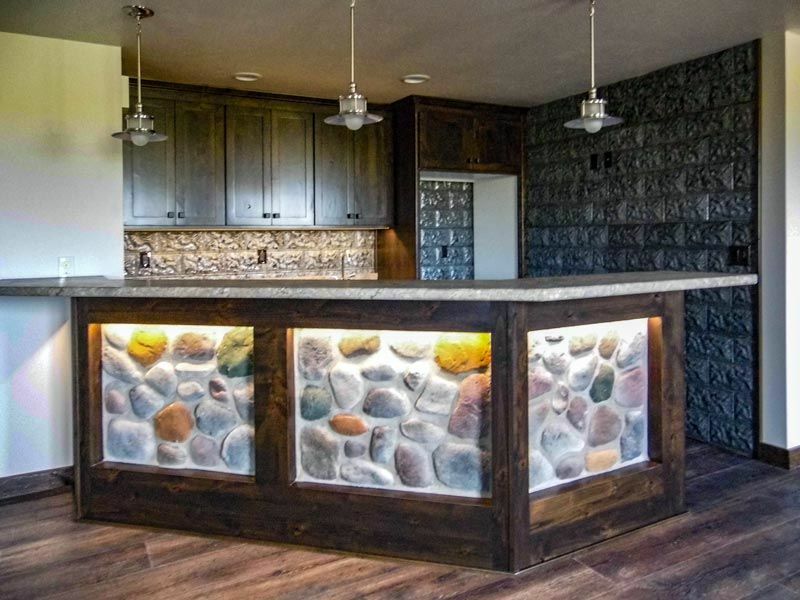 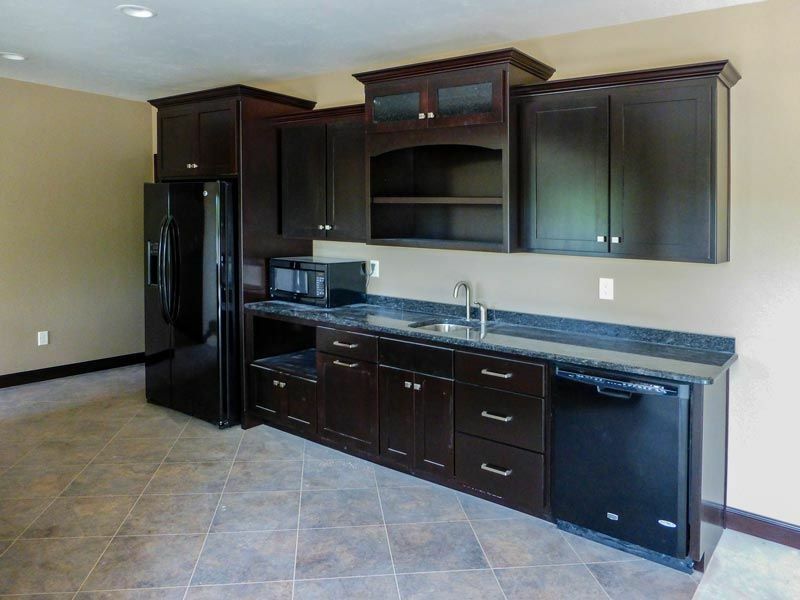 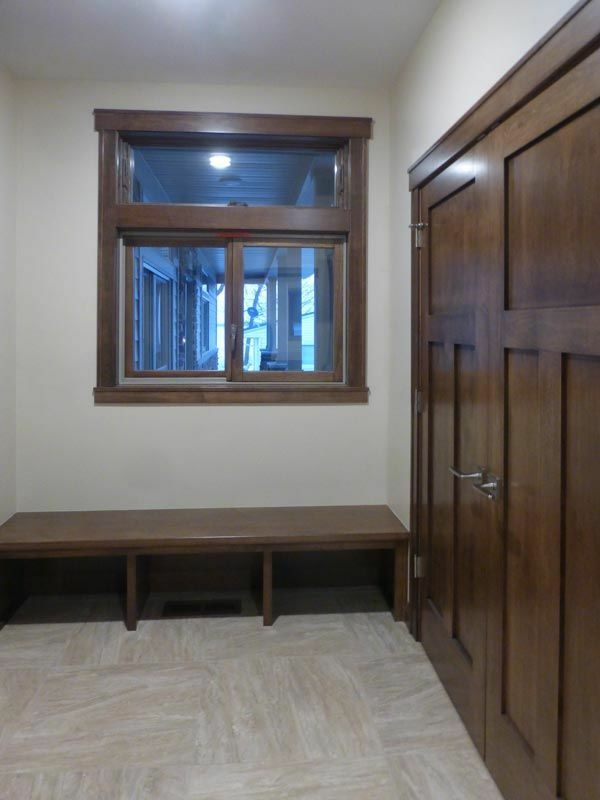 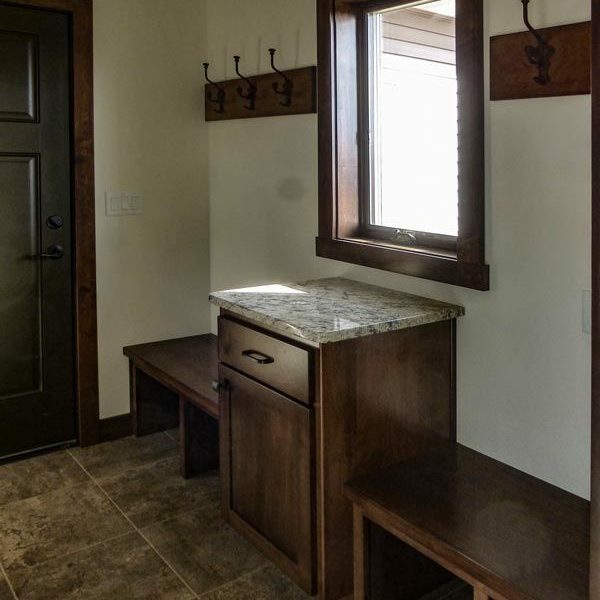 Whether you are creating a home bar for entertainment, a kitchenette for “family night”, or even an ice cream parlor, J&J Builders of Northeast Wisconsin will help achieve the atmosphere you’re striving for. 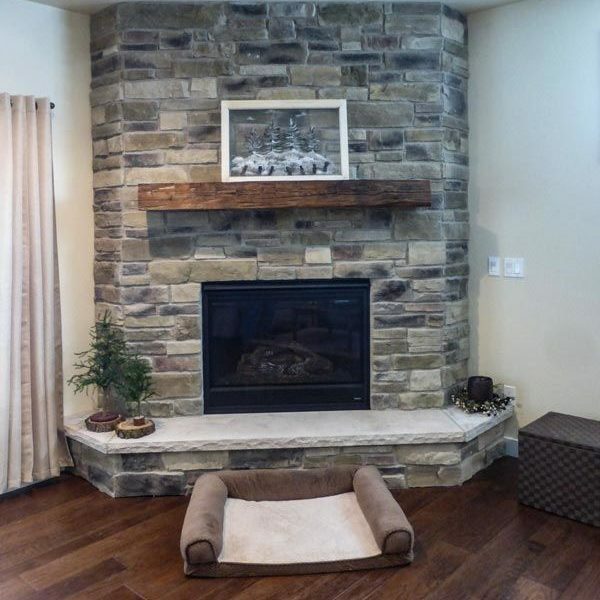 Many interior features can provide pleasing accents to your home. 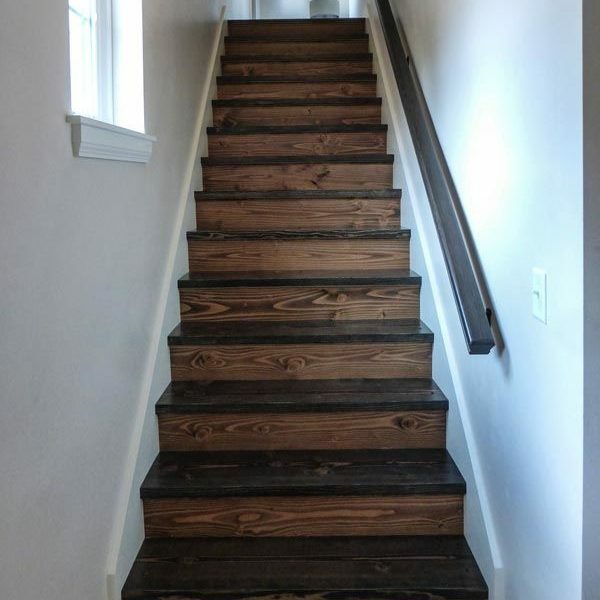 They can be functional and yet provide the character you desire. 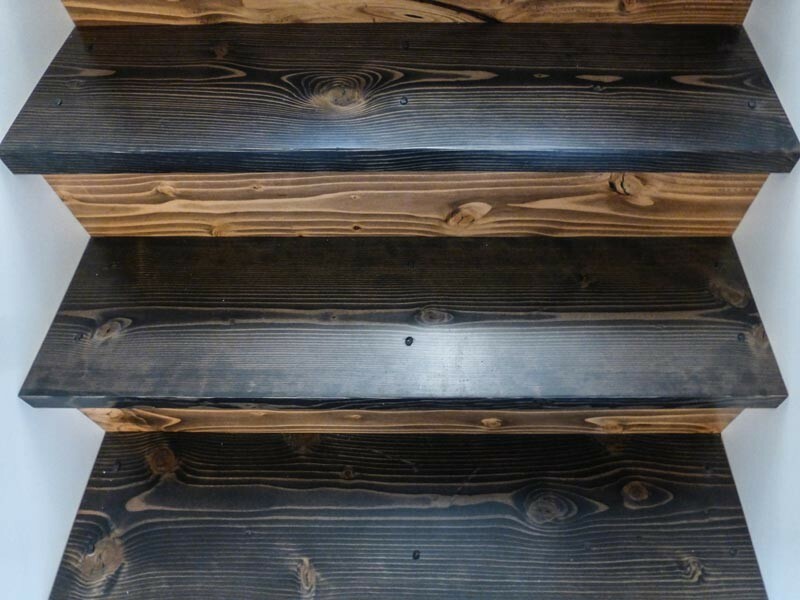 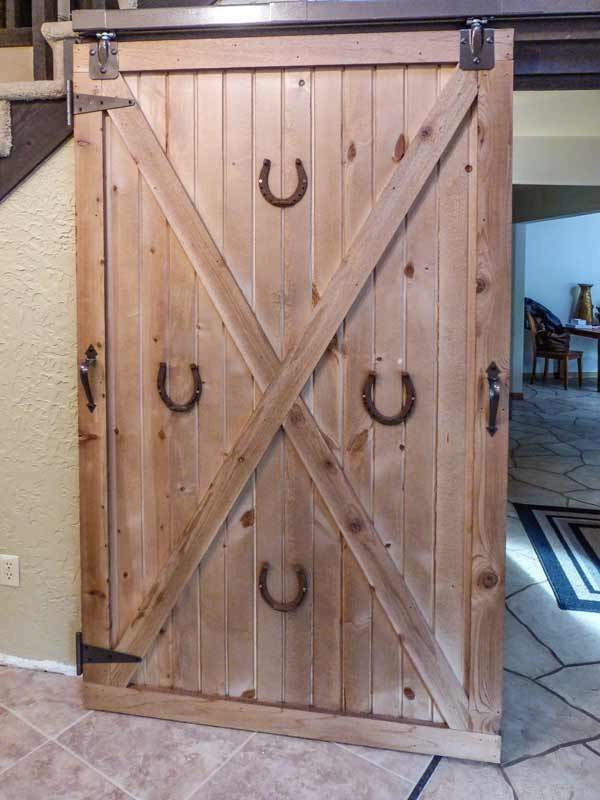 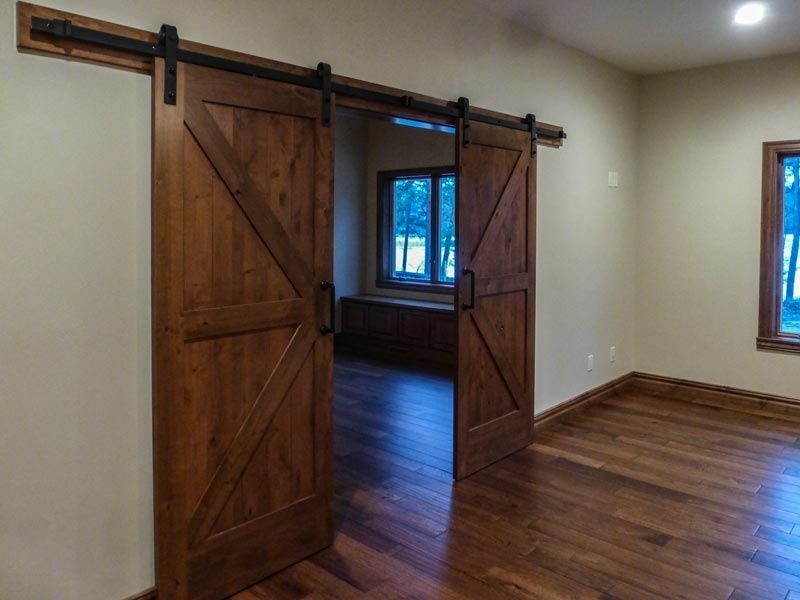 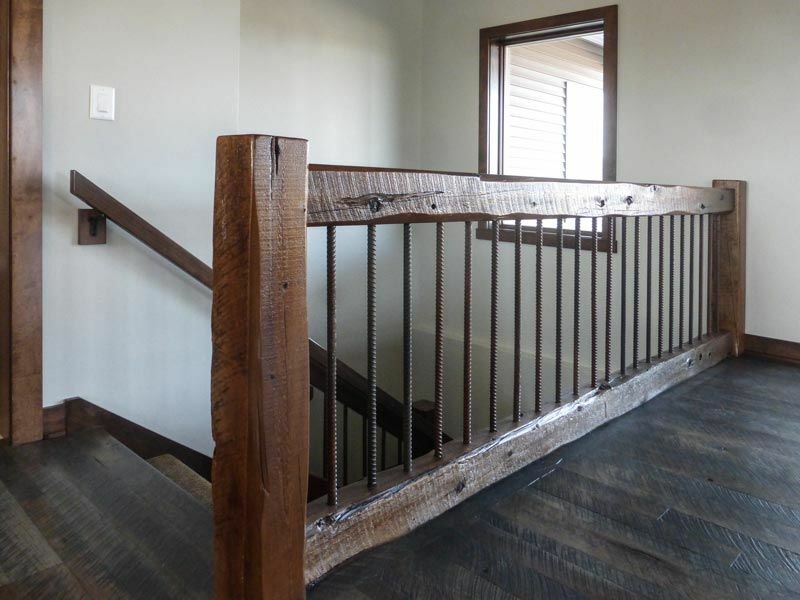 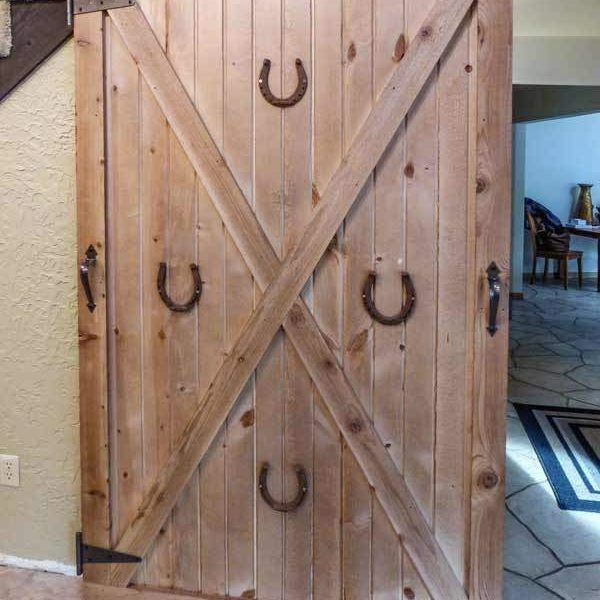 Sliding barn doors, Circle Sawn Timbers and Railing Systems, Reclaimed wood accents just to name a few. 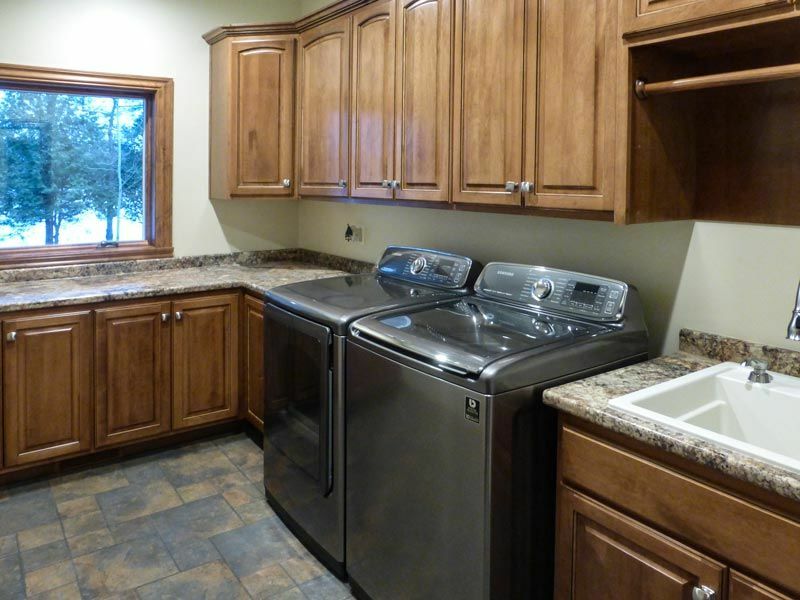 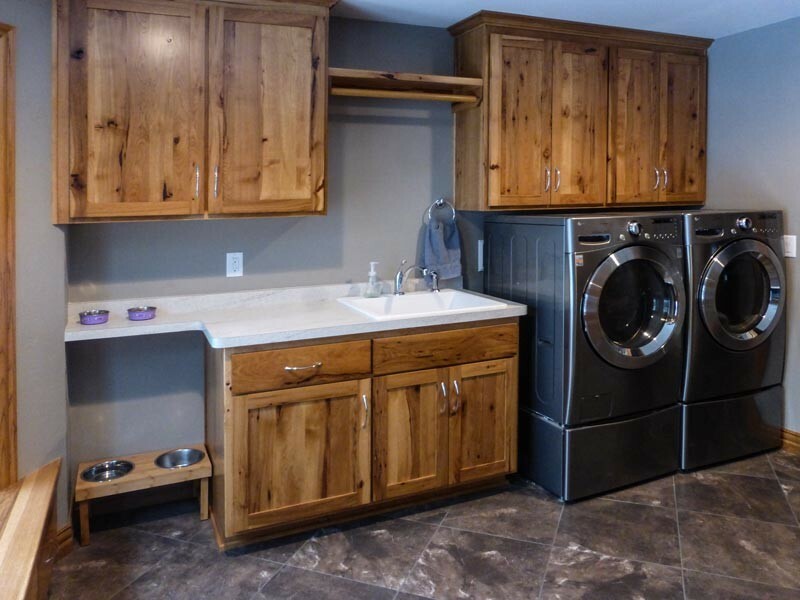 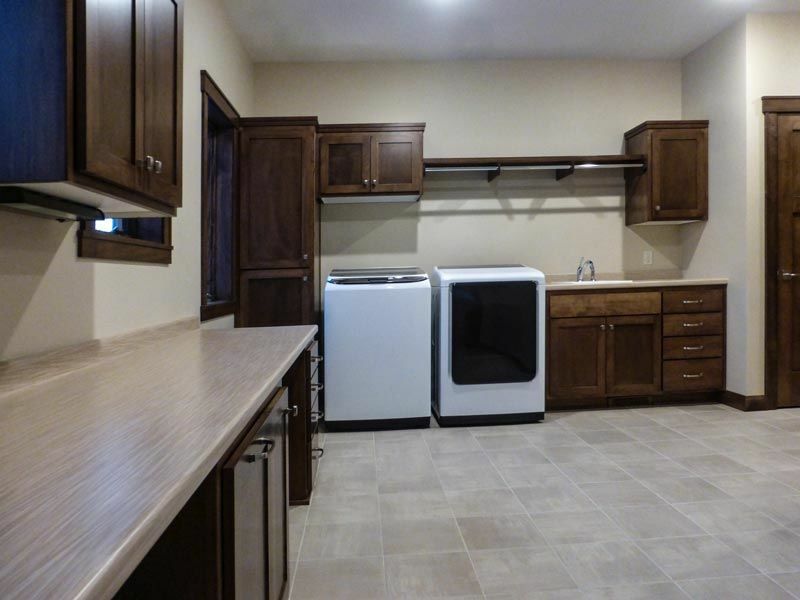 Laundry rooms typically serve as a multi-purpose room. 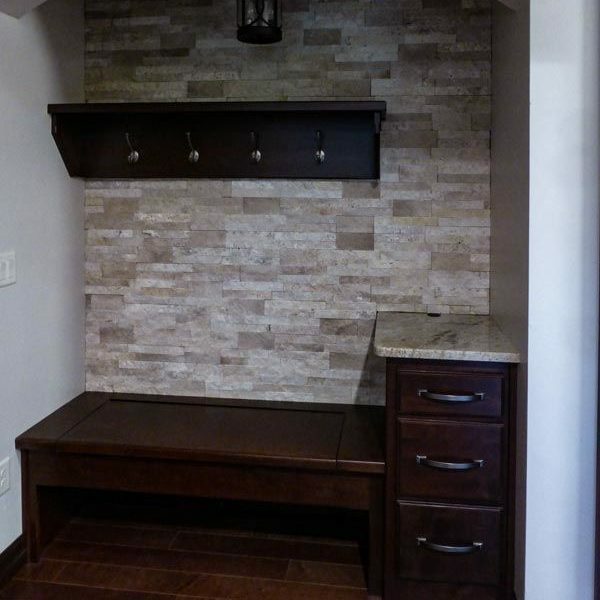 It can double as a utility room that requires storage space. 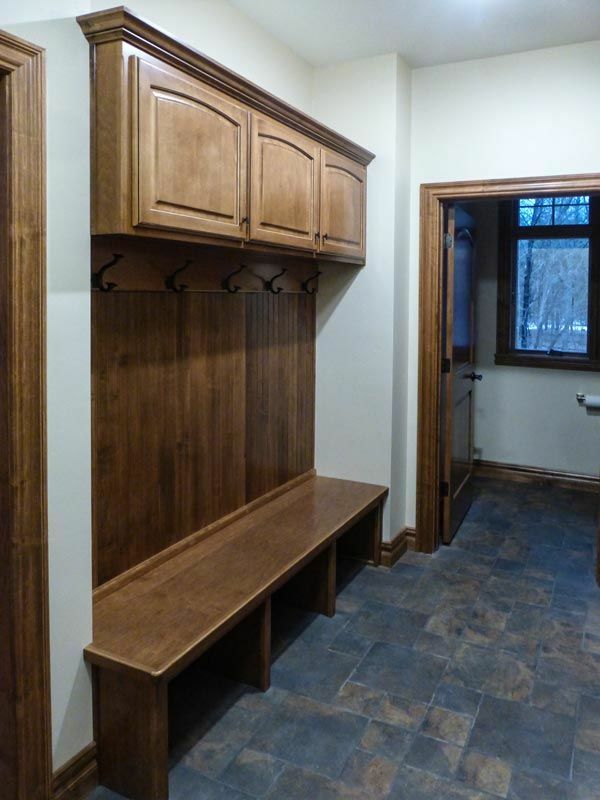 The right custom cabinetry in this room can make all the difference in how useful and functional it can be. 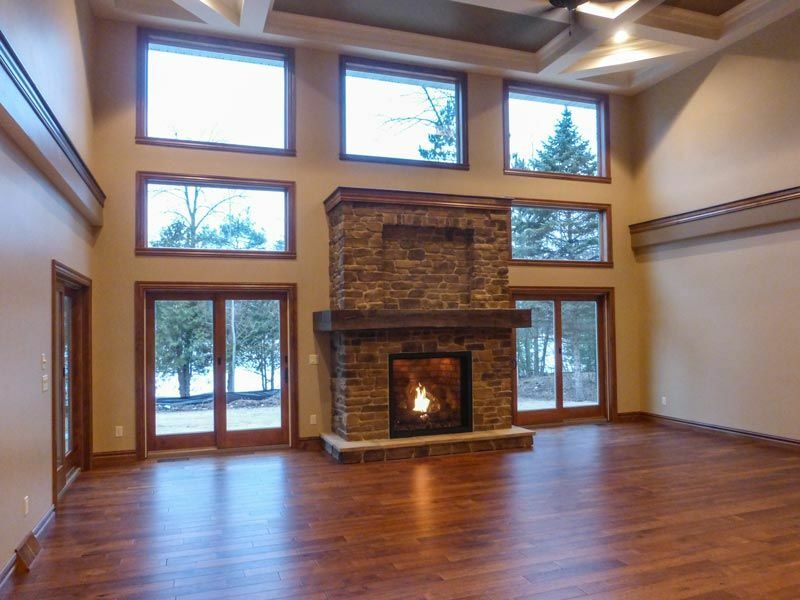 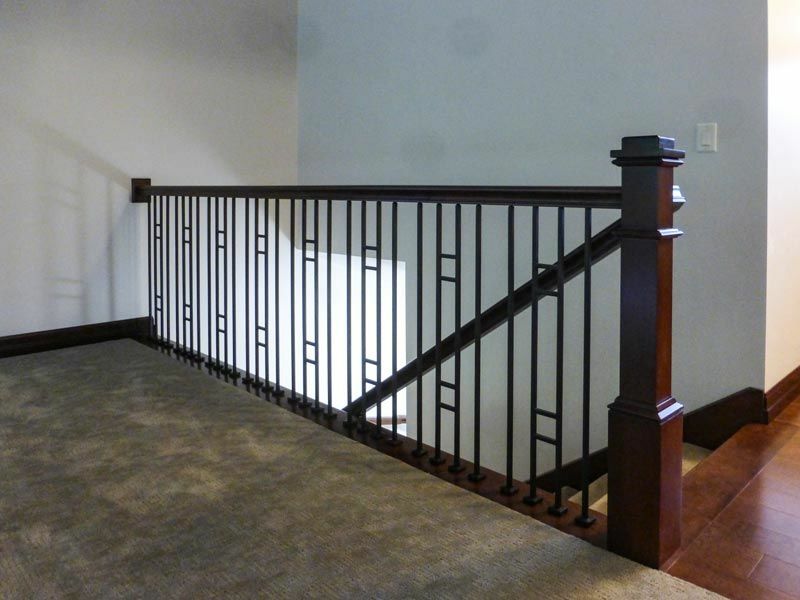 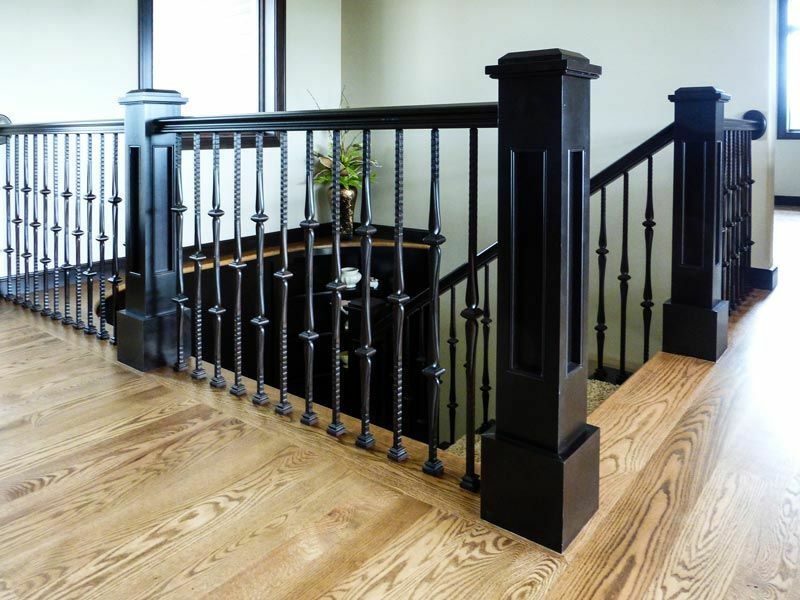 J&J Builders fo Northeast Wisconsin will work with you to meet and exceed your wants and needs for a well-designed space. 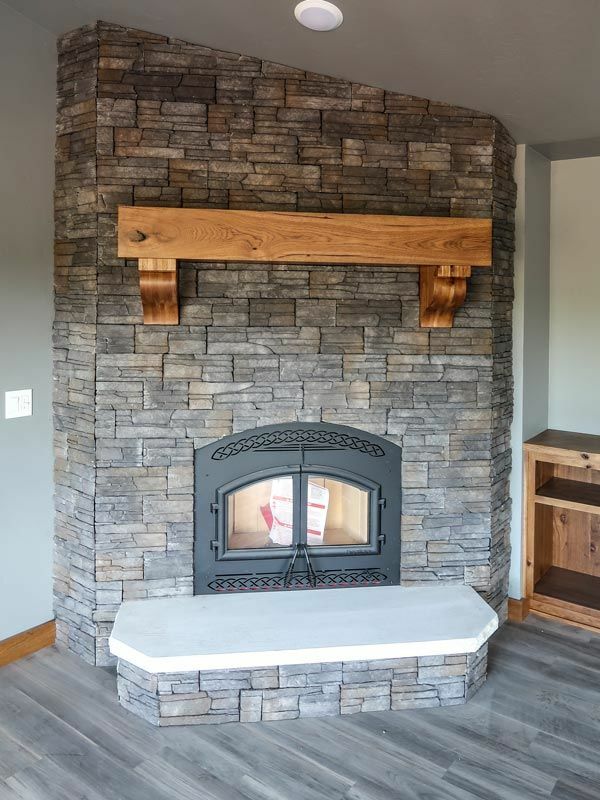 © 2018 J&J Builders of Northeast Wisconsin, All Rights Reserved.